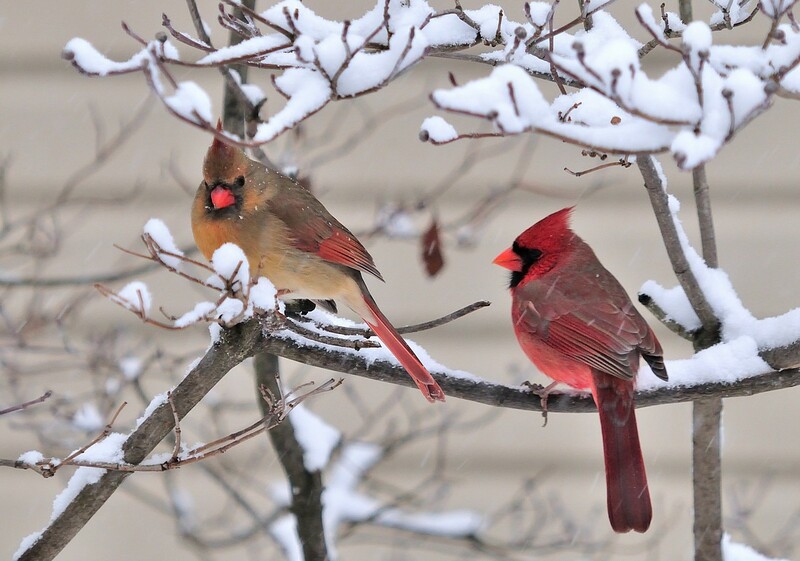 It’s hard to believe with the temperatures outside in the 60s that very soon, winter will be here, and our little bird friends who are overwintering in Ohio would appreciate some assistance to get by. Today, in our backyard, we had several juncos, a pair of cardinals, and a Carolina wren feeding away in the leaf litter under our spice bushes. I’ve compiled a list of some of the birds that will be staying in Ohio and what we can do to give them a hand to make it through until spring arrives. Woodpeckers (Pileated, red-bellied and downy): The pileated and downy woodpeckers love suet while the red-bellied loves sunflower seed, peanuts or corn. Bluejays and juncos: These birds love sunflower seeds. Chickadees, nuthatches, and tufted titmice: These little guys love suet and sunflower seeds. 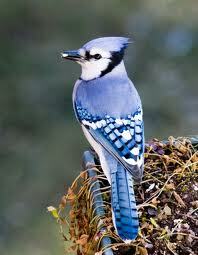 So, to attract birds, black oil sunflower seeds and suet seem to be the most popular forms of feed. Others include peanuts, corn, thistle, even fruit. Another important item is water, which can be hard to come by once the temperatures drop. A heater in your birdbath will solve that problem. It’s also important to provide different types of feeders – platforms, hoppers, etc. I don’t know if birds begin to recognize my voice, but they always seem to appear when I called, “Bird bird bird!” as I fill the various feeders. Can you recommend a good bird bath heater? I don’t – but Wind Birds Unlimited always has been amazingly helpful when it comes to anything about birds.